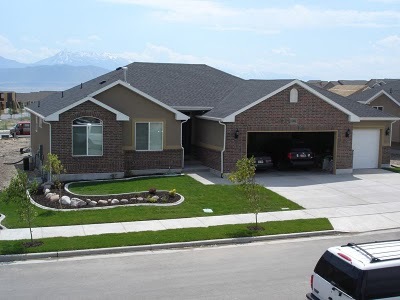 Before I show you our new house in Montana, I thought I would give you a tour of our house in Utah. My mom wondered if that would make you all think we were missing it. Well, are we? Not really. We miss the neighbors of course, and we miss that everything was new and clean, but the house belongs to someone else now. Picturing them living there makes me not miss it at all. Sure, we were proud of it and all the work we did to make it home, but we brought our belongings with us and look forward to making our imprint on this house here, eventually. It took us a little over a month to sell the house, which was pretty good in the current market. We definitely didn't get the price we would have liked, but we were lucky to not be in a short sale or foreclosure situation like so many others in our neighborhood. ^ This was a great kitchen. 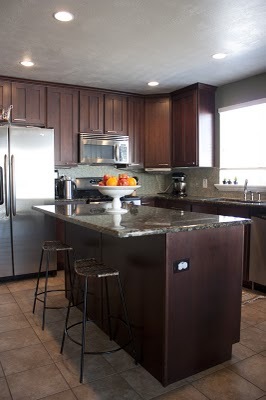 I loved the rich dark cabinets, granite counters, and tile floors. 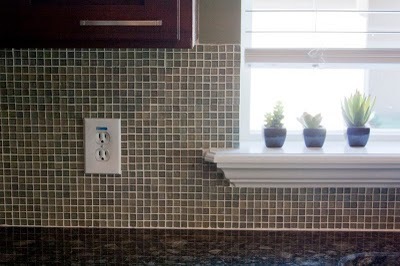 ^ I installed the glass mosaic tiles myself. 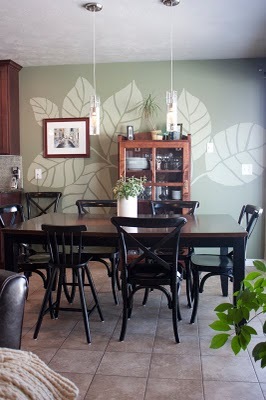 ^ In the dining room, I painted this mural on the wall to match the wallpaper in the entry (next photo). I loved the impact it made in the room. 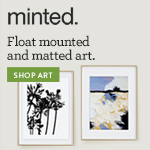 ^ I found the wallpaper on sale online from Ferm Living. 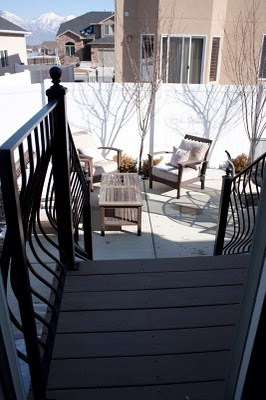 ^ We tore out the original deck and added a Trex deck and this iron railing. It added tons of character to the backyard. 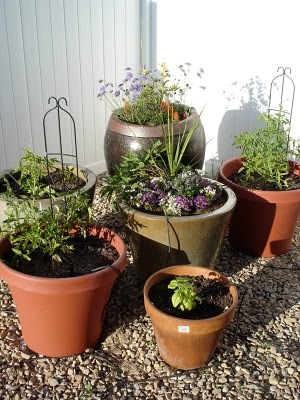 ^ We had a small backyard, but we had one little area with drip irrigation lines so I could grow flowers, tomatoes, herbs, and peppers in pots. It was a fun, manageable way to have a low maintenance garden. ^ The living room. Tom bought my piano for Valentine's Day one year. He'll never top that one. 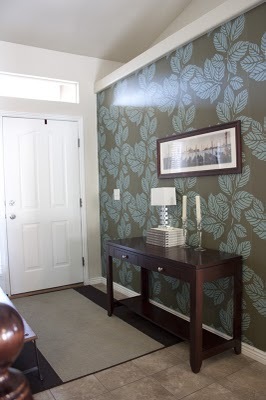 :) I loved my photo gallery wall. 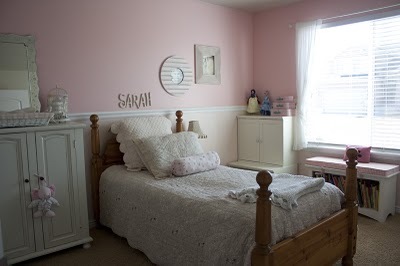 ^ Sarah's room. 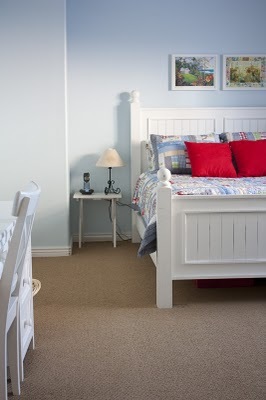 I pulled her two-tone pink wall from a Martha Stewert paint card. Her bedding was Shabby Chic from Target. 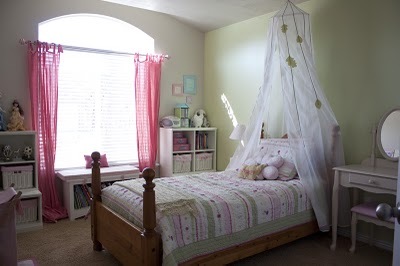 ^ Abby's room. 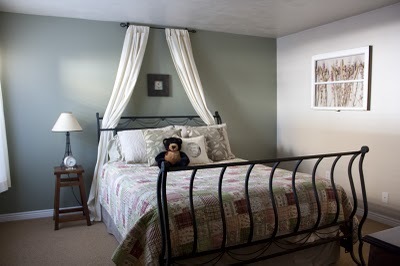 Bedding from Pottery Barn Kids. ^ The girl's bathroom. Lots of pink in our house! 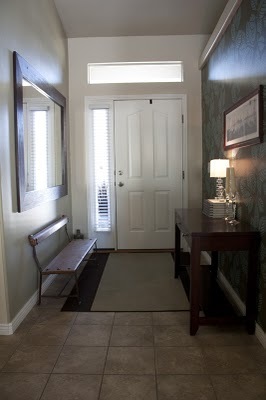 ^ I loved the vaulted ceiling and chocolate brown wall in here. 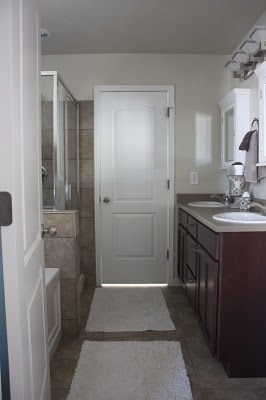 ^ Master bath. 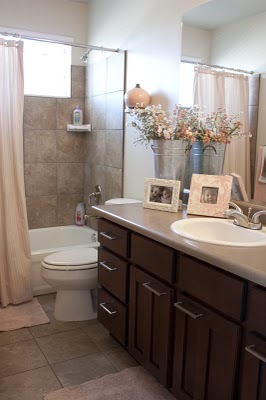 I do miss this bathroom. 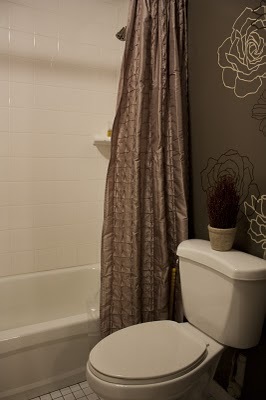 Its just a tad bigger and better appointed than our current master bath. 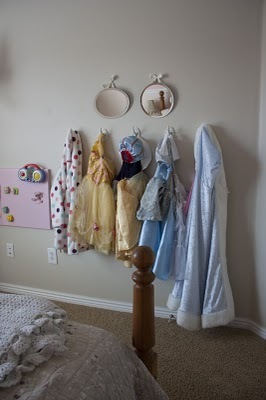 I miss our walk-in closet too. 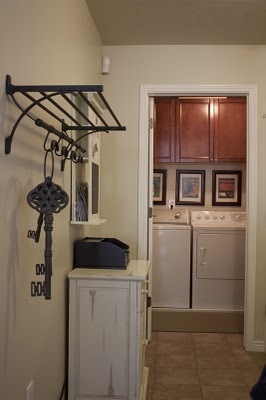 ^ Hallway and laundry room. ^ The basement. 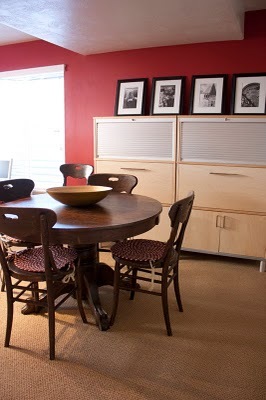 This table and chairs is an antique that belonged to Tom's grandma. ^ Our office area. 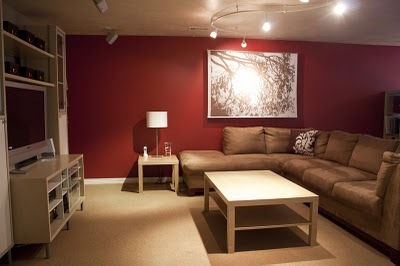 Most of our basement furniture was from IKEA–the cheapest way to furnish a large room! 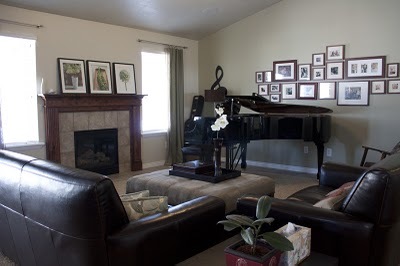 ^ The family room. 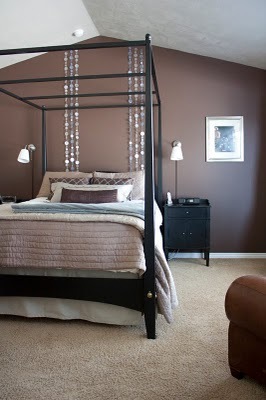 The wall hanging is from CB2. 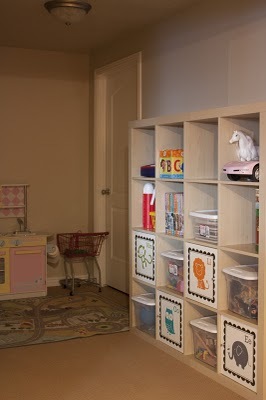 ^ The kids' play area. 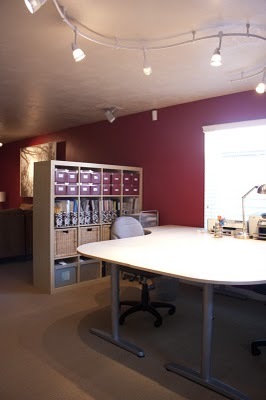 The vinyl on the shelves are Stampin' Up! and left from a photo shoot we did for the catalog. 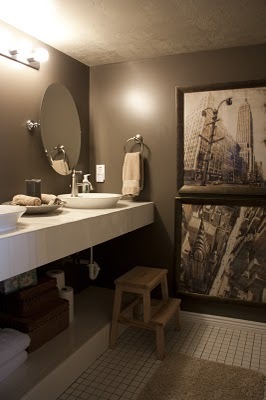 ^ Basement bathroom. 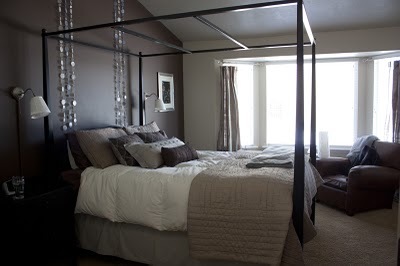 We finished this room ourselves and I love how it turned out. ^ More vinyl from Stampin' Up! Hope you enjoyed the tour! 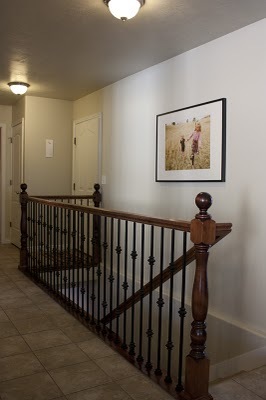 Coming soon: photos from our new old house in Montana.